Maximize your merchandising space with our new Peg Hooks. Handy for hanging a variety of smaller items such as jewelry, crafts and bubble packs. Available in three sizes of two ,four or six inches. A Versatile Hook! 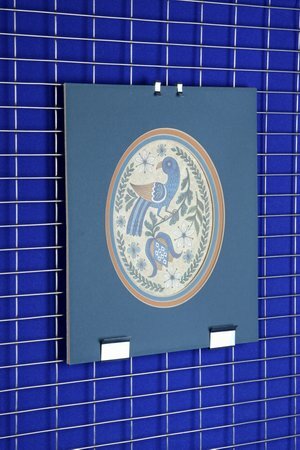 These cost effective hooks can be used for hanging matted prints or signs directly onto our panels. 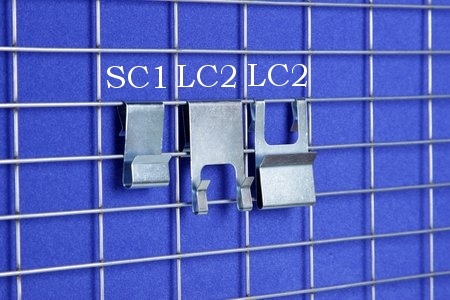 Simply slip the hook over the wire mesh and insert the bottom part of your matted print or sign. The same hook can be slipped over the top of the mat for stability. 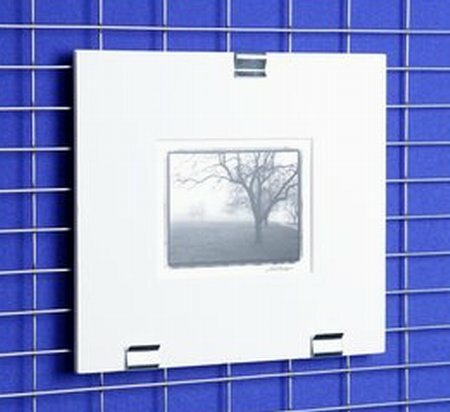 The Combo Quick Clip also holds framed Artwork that has a cable or wire on the backside.